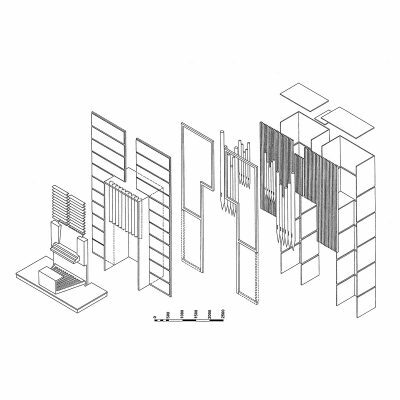 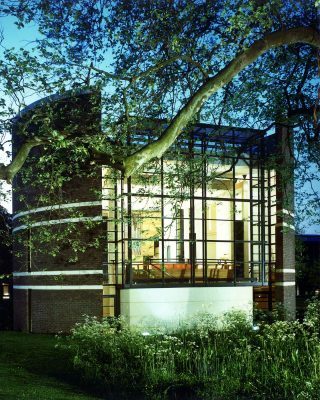 We were commissioned by Fitzwilliam College, Cambridge, to design its first chapel. 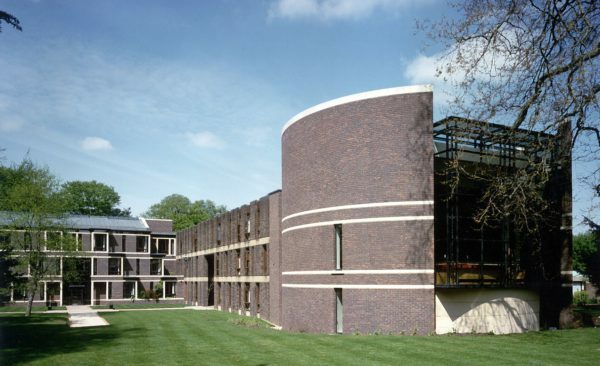 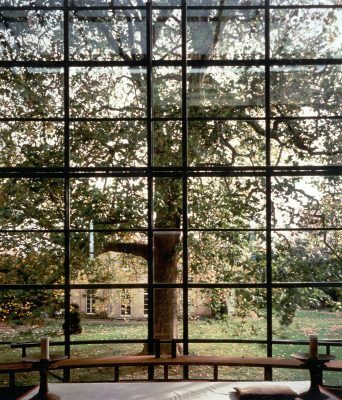 MJP’s chapel for Fitzwilliam College, Cambridge, is masterly in its planning and in its relationship to the other buildings and landscaping on the site. 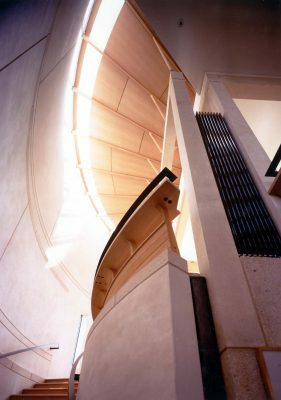 We created a circular space that lends itself to seating a congregation in an intimate, focused group, accommodating up to 136 people in a conventional aisled arrangement. 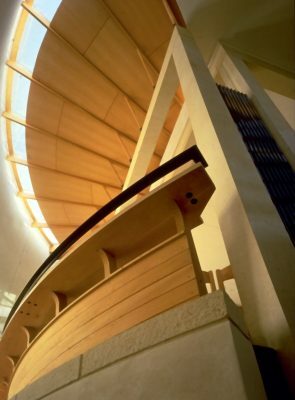 The chapel is at first floor level and can be entered directly from the cloister. 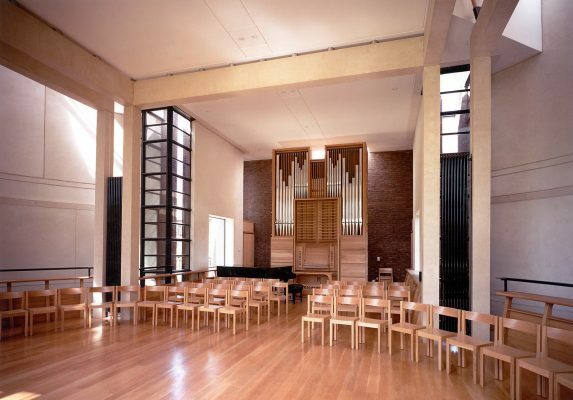 Late-comers have a separate access and the Chaplain has his own stairs from the vestry, which are also used for dramatic or musical performances. 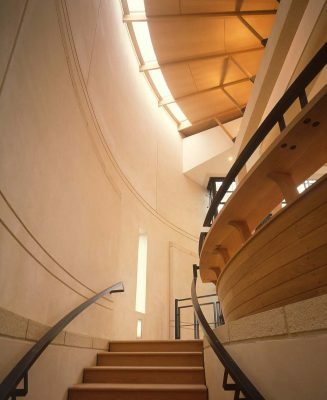 White concrete, oak and white render predominate in the chapel’s interior. 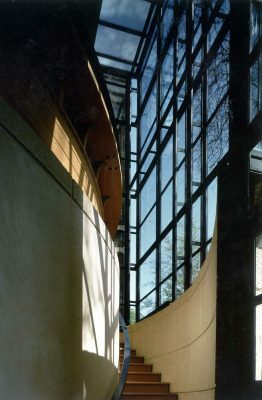 The concrete is finished in various ways, with a rough texture like rusticated stone at the lower level and, above, slender, highly-polished columns rising to support polished beams.